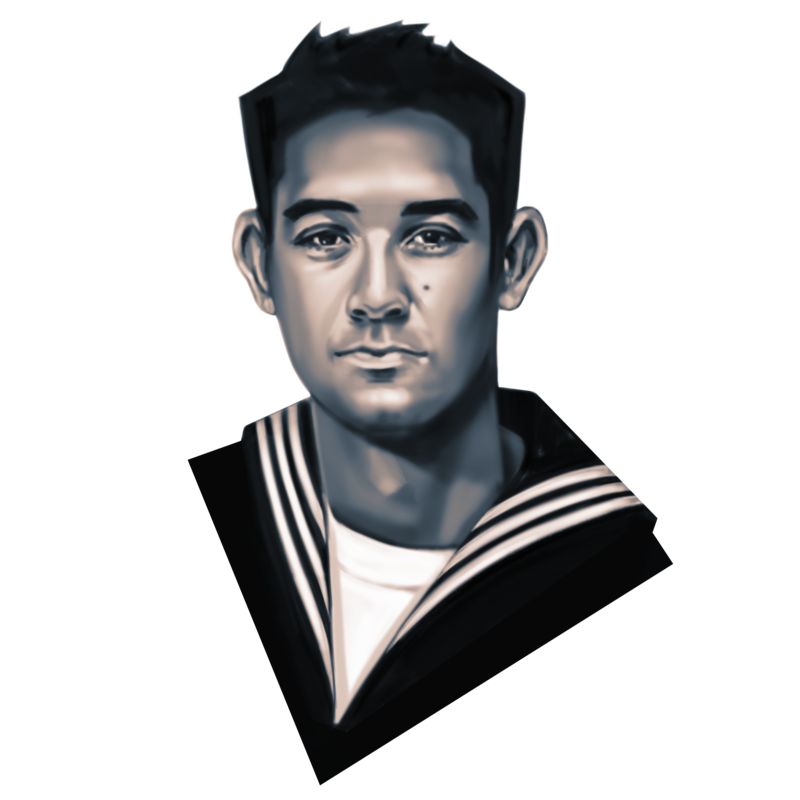 Snapshots of the sailors who perished in a pair of collisions in the Pacific in 2017. By Nate Schweber and T. Christian Miller. Illustrations by Cameron Cottrill. In recent days, ProPublica reported on the collisions of the Fitzgerald and the McCain, and showed how senior Navy leaders ignored years of warnings about the precarious state of their ships and sailors. 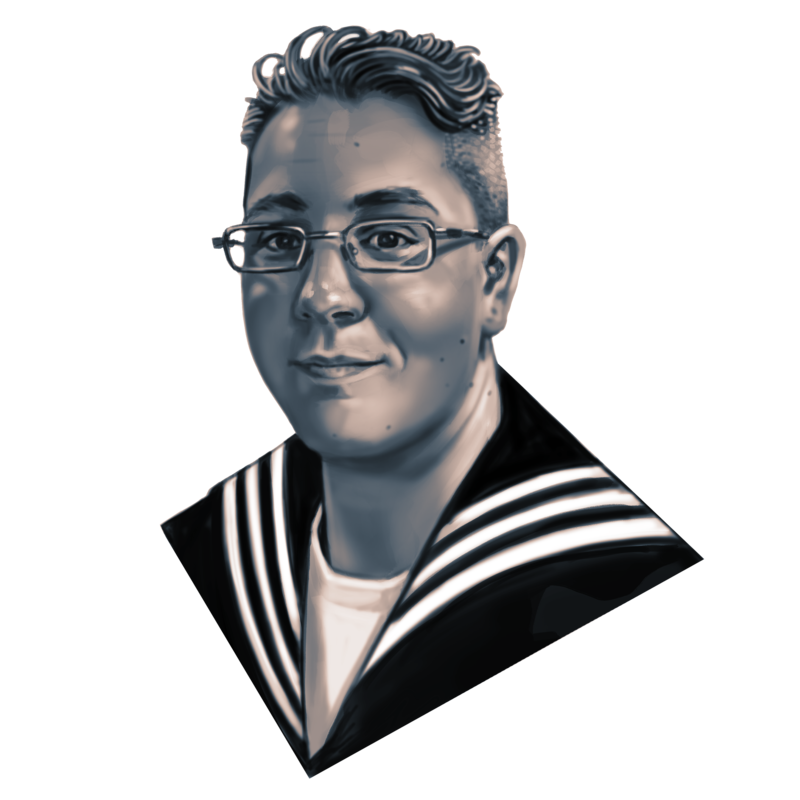 Here, we attempt to document aspects of the lives of the 17 sailors who died. Douglass grew up between America and Japan, the son of a Marine father and a Japanese mother. In the Navy, he found a way to live in both places. As a youngster he loved video games, baseball, karate and his younger brother, Shu, said his mother, Ritsuko Douglass. “I can rely on him when I’m in need, he’s always there,” she said. Douglass was a fan of the “Fast and Furious” movies, and his first car was a twin turbo Mitsubishi 3000GT. By the time he was assigned to the Fitzgerald, he had a newfound confidence, said his father, Stephen Douglass. “Every now and then he would text us or call home and he was like, ‘Man, why didn’t I do this sooner?’” his father said. Hernandez grew up in Texas’ impoverished Rio Grande Valley. When he was 15, he met his future wife, Dora, at a French class in Weslaco High School. “We were friendly in the hallways. I’d smile and say, ‘Hello,’” Dora said. After graduation, they married and were stationed at a naval air station in Italy. They discovered a shared love of travel and went everywhere together: Malta, Iceland, Greece. They had a son, Leon, born in 2014. 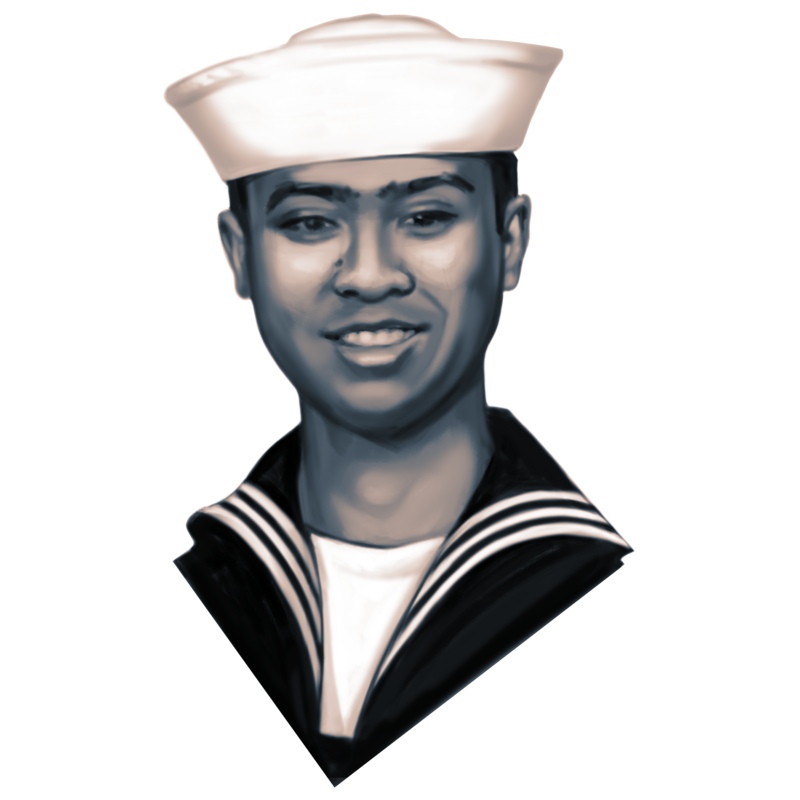 Noe wanted to transfer to the 7th Fleet in Japan because he wanted to serve on a ship. A faithful Roman Catholic, he enjoyed reading, working out and attending Mass. 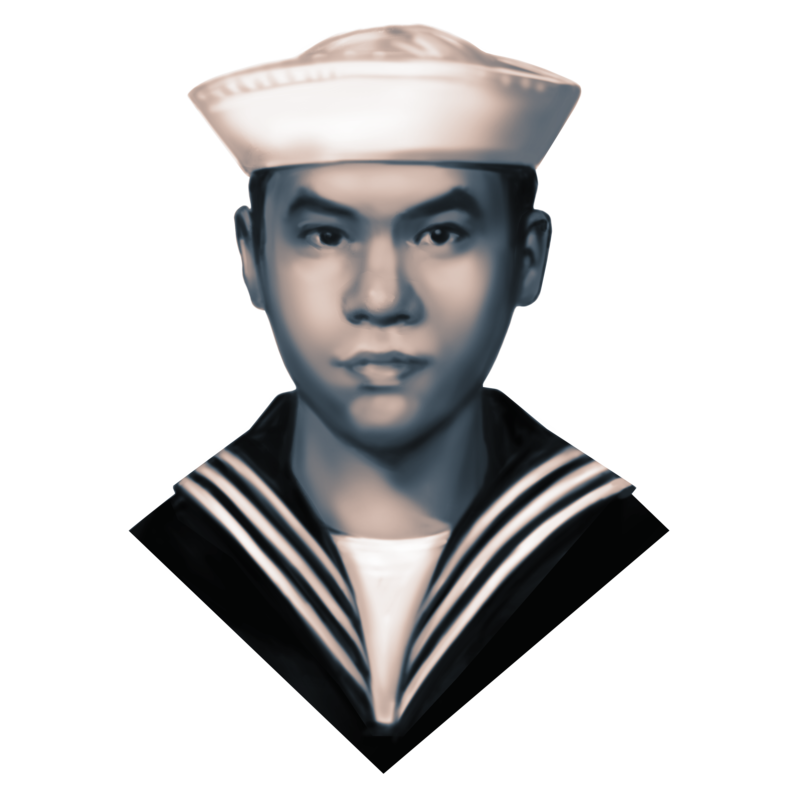 In the 7th Fleet, he clocked 15-hour days. But he was proud of his service. He called home after repairing the Fitzgerald’s 5-inch gun one day. “We did it,” he told her, excitement in his voice. 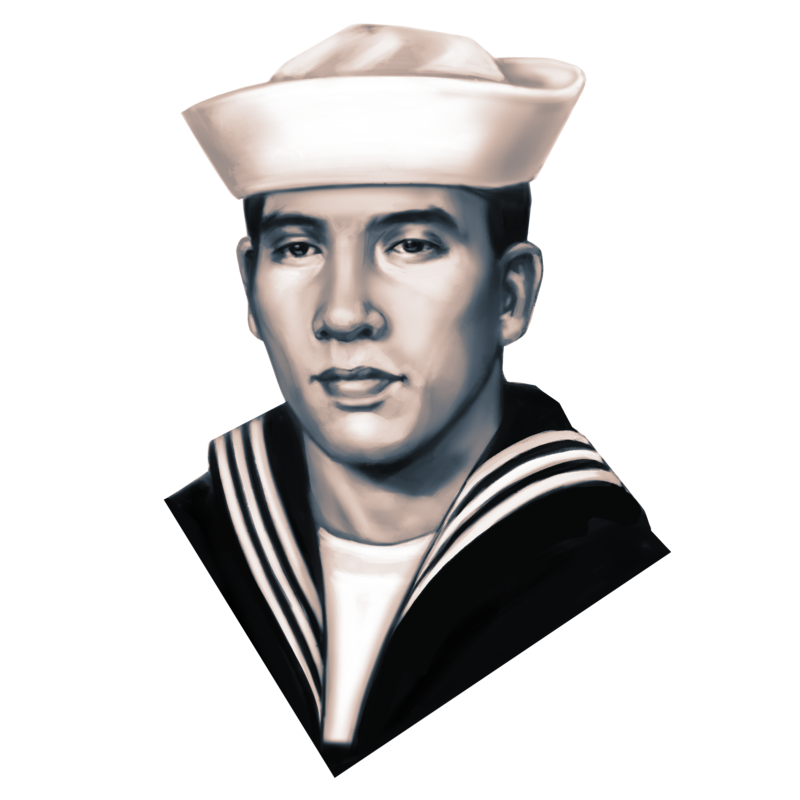 Martin was a fast riser in the Navy, having achieved the rank of petty officer first class in less than half the normal time. He grew up an only child in the Baltimore area. 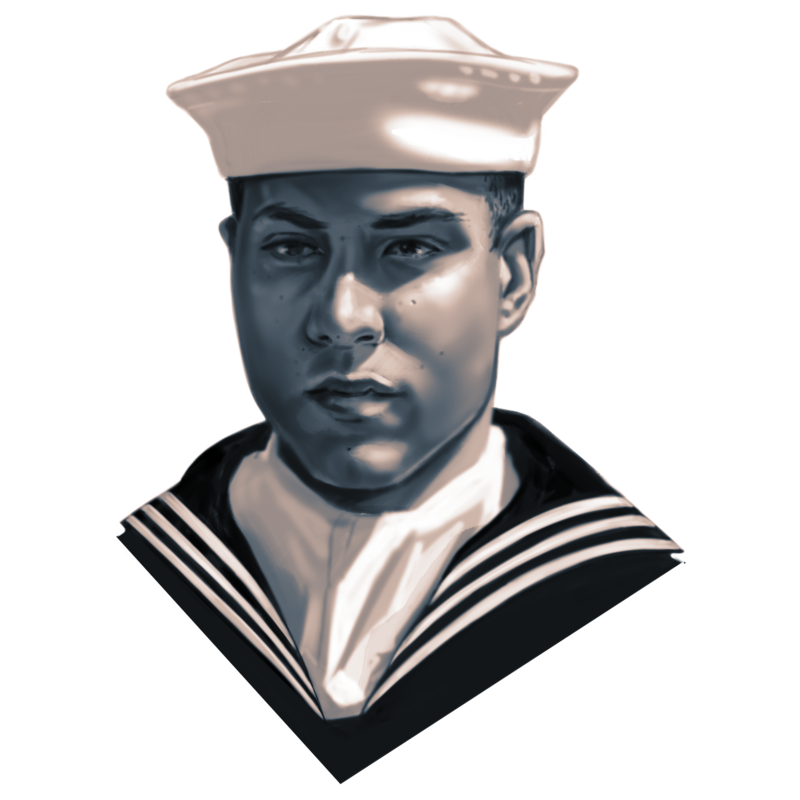 His father, Darrold Martin, was a veteran who worked as a defense contractor, helping build new Navy ships. After Xavier joined the Fitzgerald, the two texted constantly. Xavier was especially proud of having a purchased a bright yellow 1992 Mazda sports car in Japan, the steering wheel on the right side. 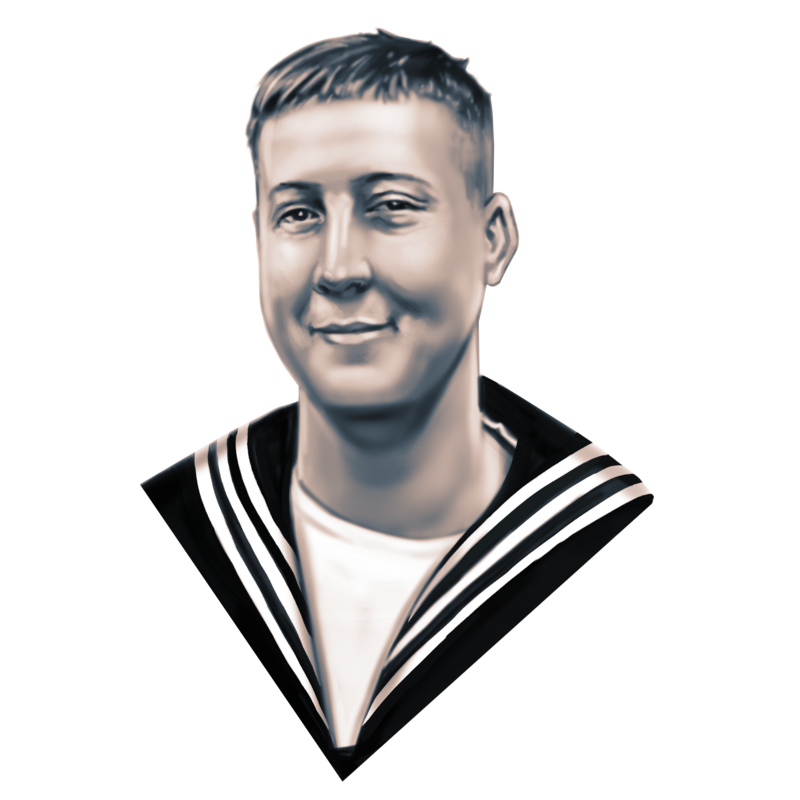 On board the ship, Martin was well known for his upbeat, cheerful attitude. 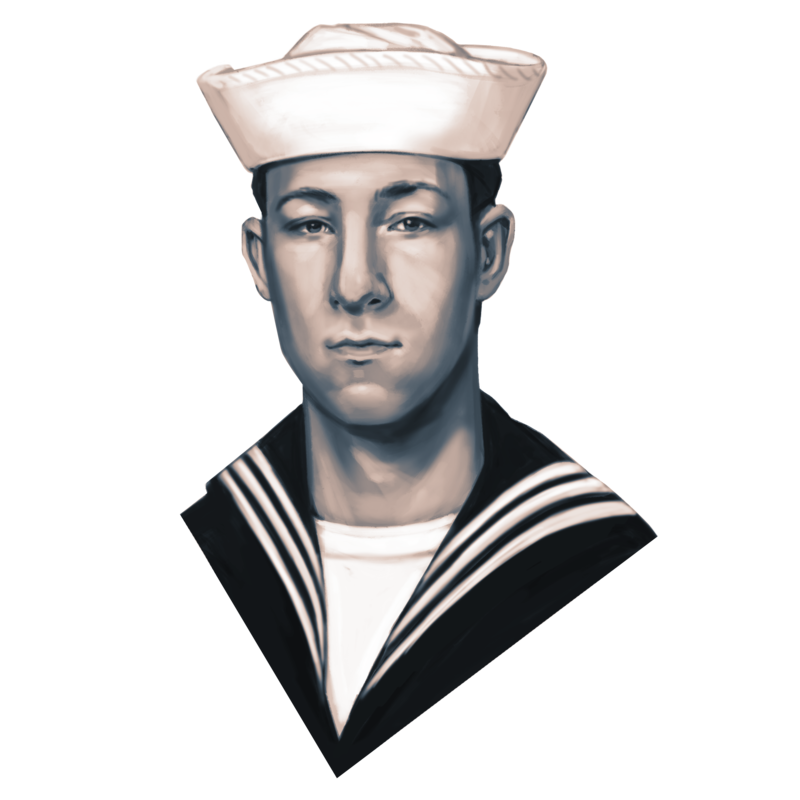 He impressed the ship’s commander, Bryce Benson, who made him a personal assistant. After his son’s death, Darrold opened Xavier’s safe deposit box. It contained a small book of aphorisms that his father had once purchased for him. “It was his most prized possession,” Darrold said. Rigsby lived for new experiences, time with his family and caring for those around him. 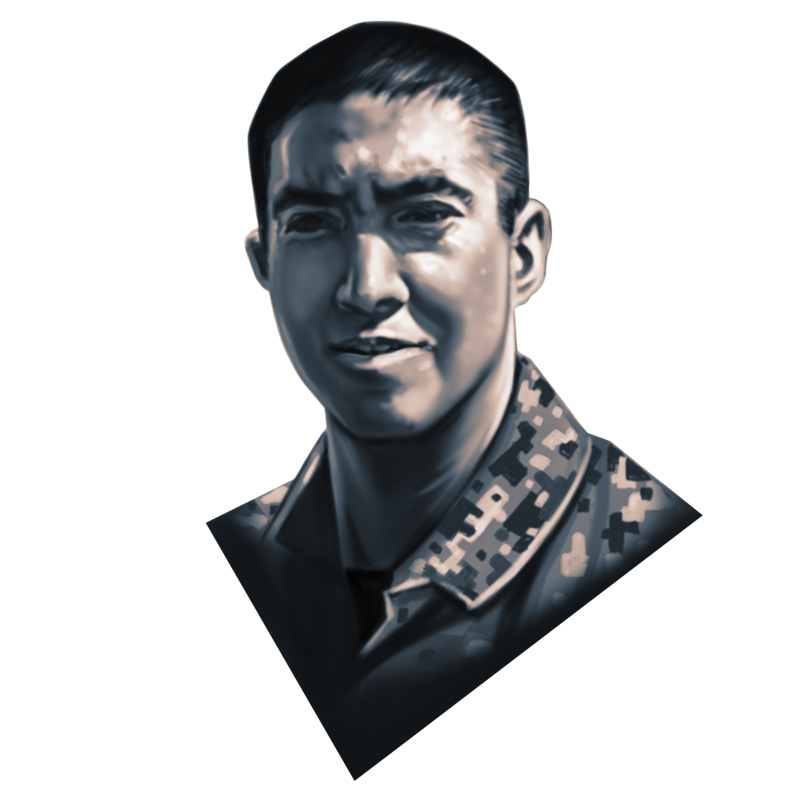 He was born in Fort Polk, Louisiana, and raised in Palmyra, Virginia. “He was always very adventurous, full of energy, super fun,” said his stepmother, Nikki Rigsby. As a kid he played soccer, baseball and football. He enlisted in the Navy at 17, in part because he wanted to see the world. He became the fourth generation of his family to serve. “He was a very kindhearted person; he always thought about others,” said his father, Wayne Rigsby, an Air Force and Army veteran. The next time he came home, Rigsby planned to get his first tattoo, of a koi fish, reflective of his experience in Japan. “His loss has left a huge void in our lives,” his stepmother said. 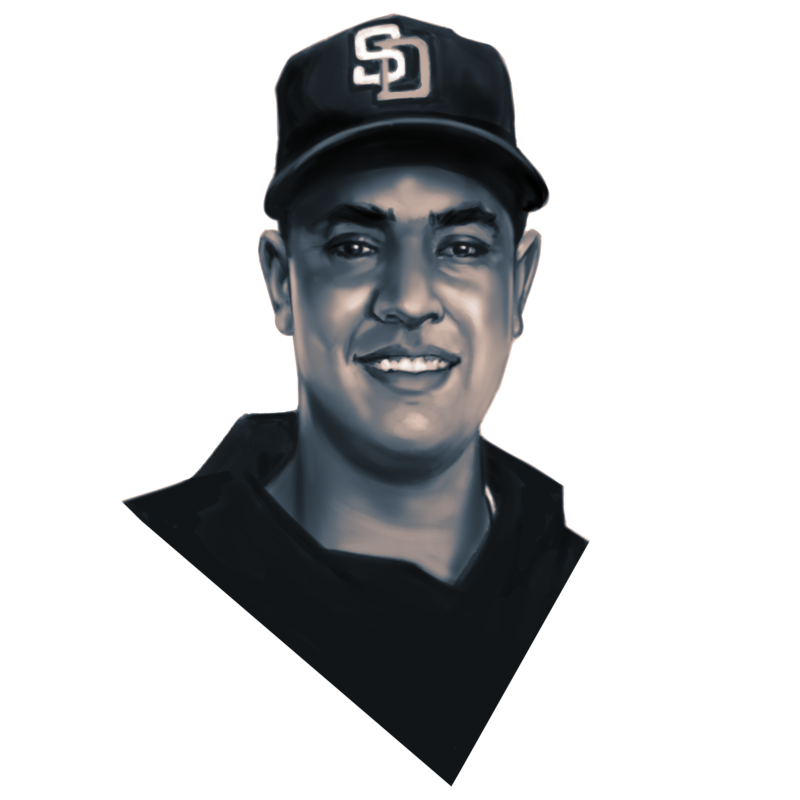 Sibayan loved caring for his family and friends and playing the Pokémon card game. He was born in Manila, Philippines, and raised in Chula Vista, California. He was the oldest of three boys and, because his father, who also served in the military, was often away, he took on the role of family protector, his mother told NBC 7 San Diego. “One thing that my son told me, that no matter what, he has my back,” she told the station. In high school, he was a popular student who performed his slam poetry in front of hundreds of his classmates. Fellow sailor Rod Felderman wrote on Facebook that he and Sibayan shared a love of history and a fascination with tanks. “You had a great impact on the berthing 2 guys that only us berth 2 dudes are gonna understand,” Felderman wrote. Findley was the youngest of three siblings living in San Diego, where his father was stationed in the Navy. As a boy he disassembled his sisters’ radios to figure out how they worked. “He liked those better than stuff from Toys R Us,” his sister Amy Winters said. 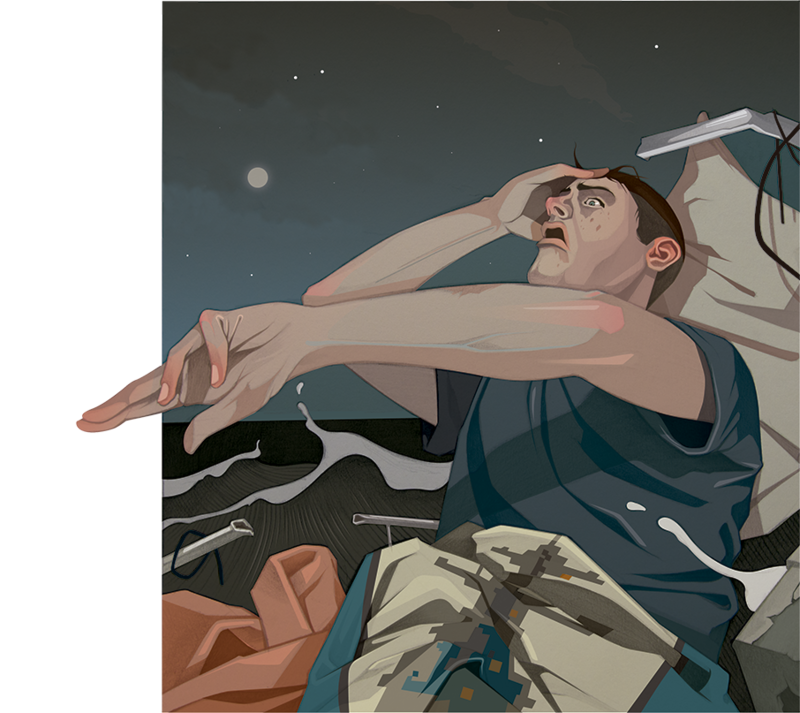 When he was 13, his mother died of a brain aneurysm, and it affected him deeply, Winters said. A lover of novels by Leo Tolstoy and his mother’s favorite book, “The Hitchhiker’s Guide to the Galaxy” by Douglas Adams, he studied literature in college. 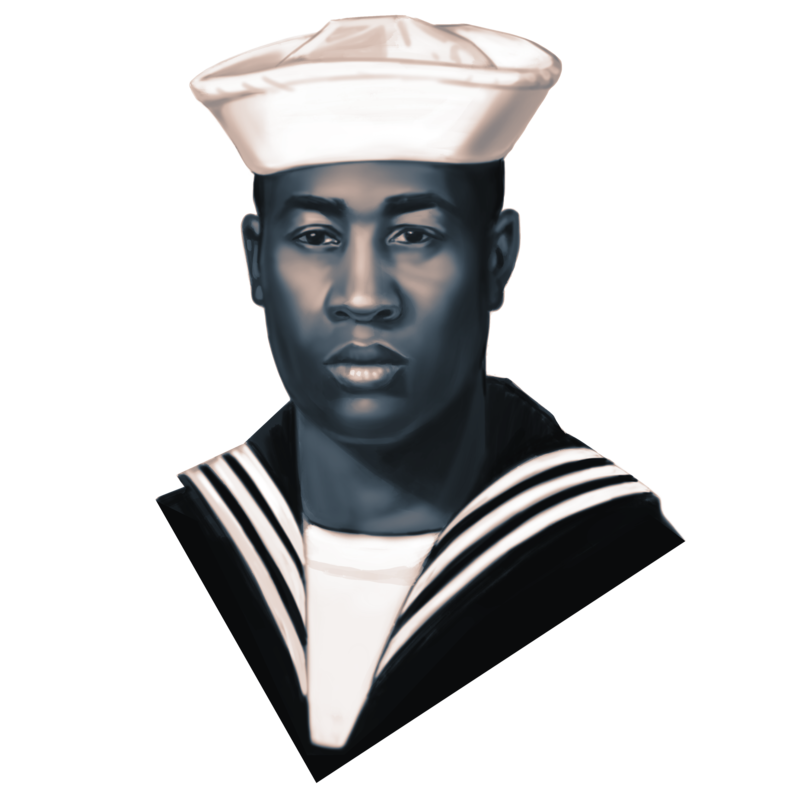 After he joined the Navy, he married Chenoah Kent and had a daughter and a son. “I saw him go from someone who had little direction,” Kent said, “to someone who took his job and duty to his country seriously.” They remained friends after divorcing. When Findley was stationed in Okinawa, he remarried. Riho Findley’s first trip to the United States was to attend her husband’s funeral. “After I came back from the U.S., I realized I was going to be alone,” she said. Ingram took great pride in family, history, service and his hometown. He was the oldest of his generation in a large family centered in Poughkeepsie, New York. As a boy he played with toy soldiers because his father served in the military. “He idolized his dad and wanted to be in his dad’s footsteps,” said his mother, Jacqueline Ingram. He was fascinated by military and African-American history, she said. He kept stern watch over his two younger siblings and numerous cousins, but at the family’s annual Independence Day block party he made faces, cracked jokes and wore mismatched outfits to make everyone smile. “He was essentially the rock for all of us,” said cousin Phylicia Isaacs, 29. After 18 months of community college he joined the Navy. 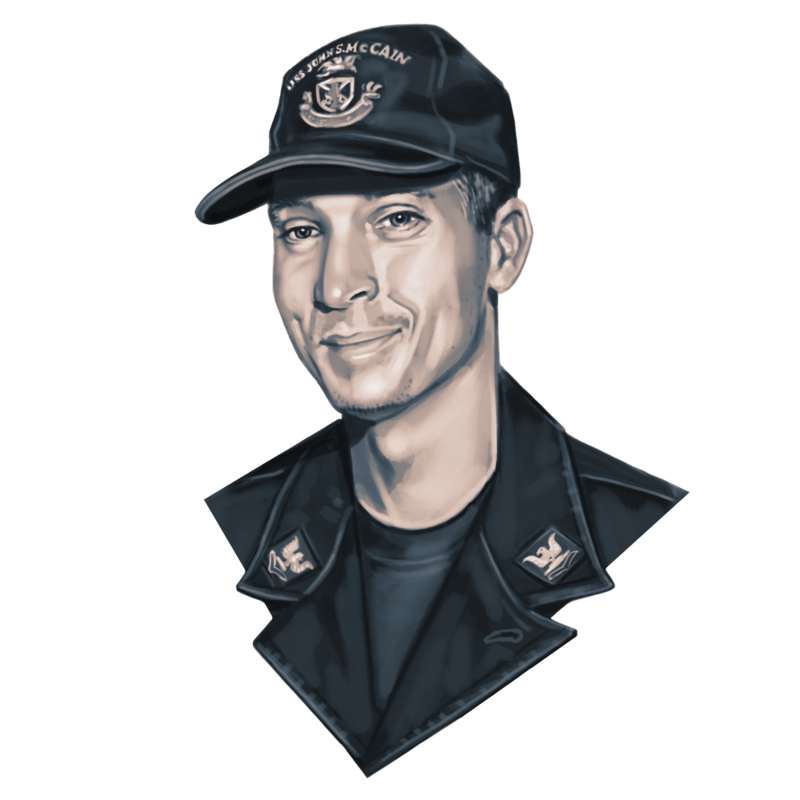 He treated his shipmates on the McCain like family also, especially Timothy Eckels Jr. “He loved the camaraderie,” his mother said. Drake loved traveling the world with the Navy and was looking forward to getting married. 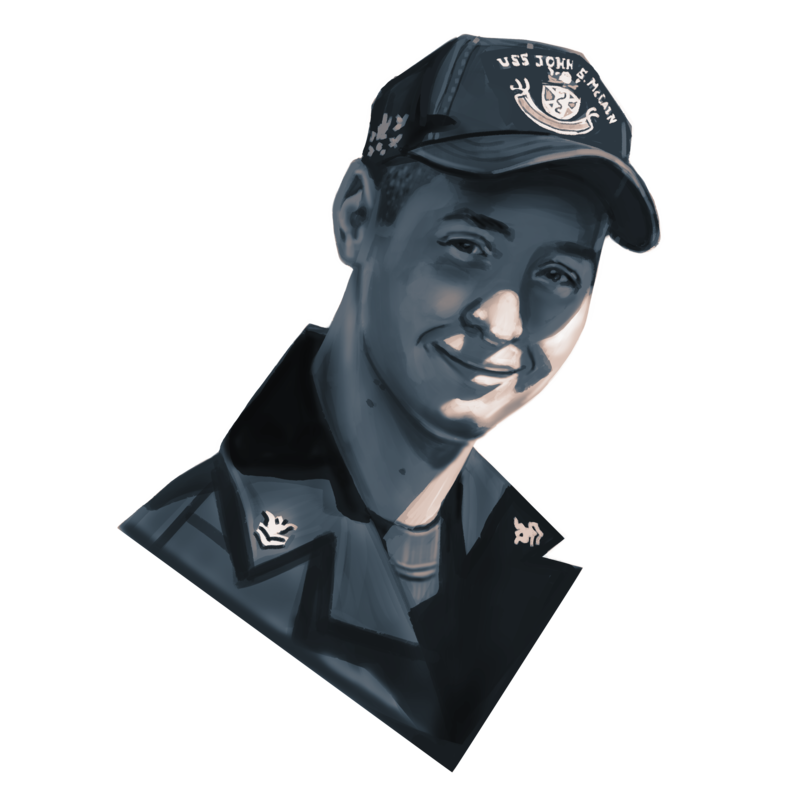 “Jake died way too early but he was doing what he loved and serving his country with some of his best friends that he met while in the Navy,” his fiancée, Megan Partlow, wrote in a brief message. Drake was born and raised in the rural Ohio village of Cable, about 50 miles west of Columbus. Drake’s sister, Veronica Drake, told the Springfield News-Sun that her brother enlisted after graduating from high school because he hoped to see the world. Partlow, whom he had begun dating while in high school, visited him when he was in Japan and they decided to marry. “I’ve known since I first saw him that he is the one I want to spend my forever with,” she told the New York Post soon after the crash. 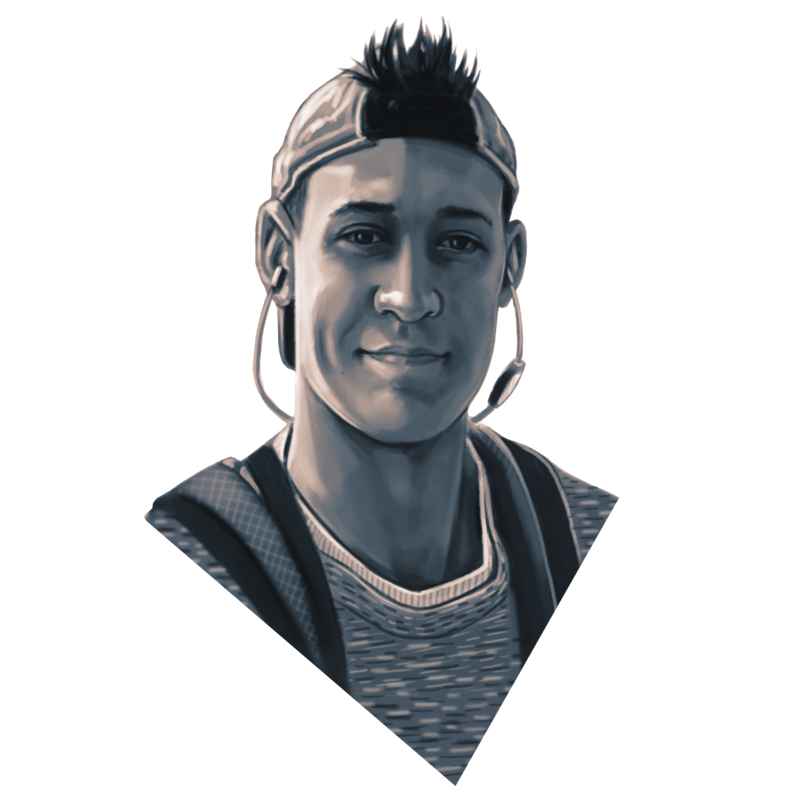 Smith loved his family and animals and was so fascinated by video games that he dreamed one day of programming his own, said his mother, April Brandon. He was born in Jackson, Michigan, and loved scouting outside for pets. “He wanted them all; he would bring in everything from stray cats to frogs into my house all the time,” Brandon said. He split his early teen years between Michigan and Norfolk, Virginia, where his father moved after his parents separated. Between them, he had five siblings, as well as dogs. 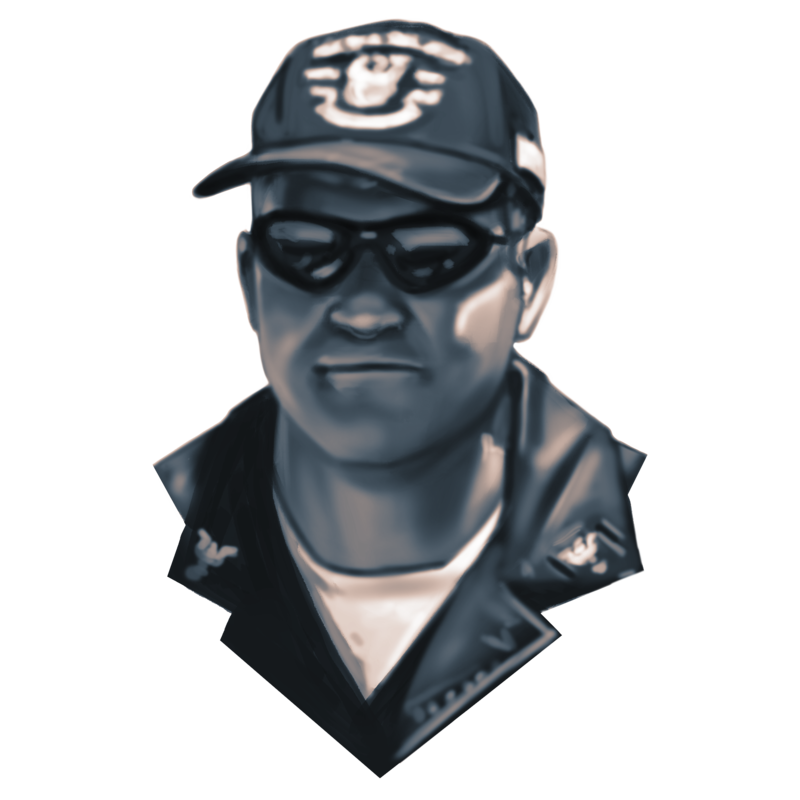 In high school he joined Reserve Officers’ Training Corps and became president of the video game club. His favorite game was the Legend of Zelda and he self-published his own fan-fiction based on it. 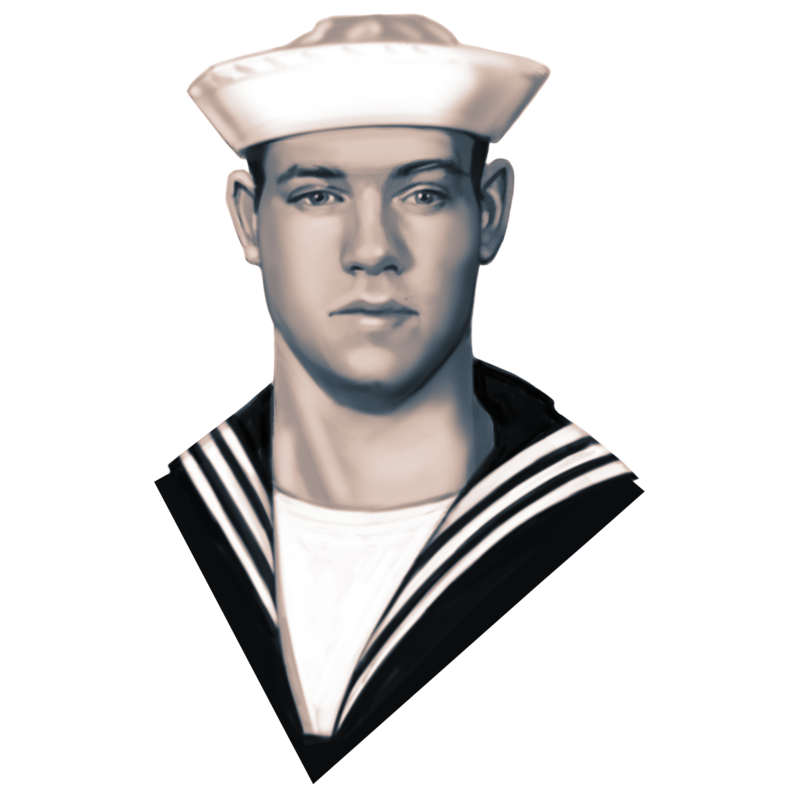 Like his father and maternal grandfather before him, he joined the Navy. From the McCain, Smith sent his mother pictures of new animals he got to see in Australia including crocodiles, snakes and kangaroos. They last spoke just days before he died. “The last thing I said was, ‘I love you, Son,’” she said. When he joined the Navy, Bushell became the fourth generation of his family to serve in the military — a great-grandfather in World War I, a great uncle in World War II and a grandfather in the Air Force. He had an intelligence, a charisma and a fearlessness that impressed all who knew him, said his father, Thomas Bushell. “The world will never know what they lost when they lost that boy,” he said. He was born and raised in Gaithersburg, Maryland, the youngest of four siblings. His oldest sister, Ashley Day, said her brother loved the outdoors, animals and adventure. “He lived without fear,” she told a military courtroom. Kevin once sent a text message to a family member who worried about his safety at sea. “I am safe on this ship. I am on a destroyer. It’s the safest place to be,” he wrote. Palmer joined the military like his two older brothers and was relishing his opportunity to experience the world. He was born in Decatur, Illinois, was an active member of his church and became an Eagle Scout. He went to Sangamon Valley High School in the nearby town of Niantic and also graduated from Richland Community College. “Logan was determined to serve,” the superintendent of his school district, Robert Meadows, told the Herald & Review newspaper. Teresa Palmer, Logan’s mother, said he had speech challenges and had his own language with his older brother Caleb. Palmer said Logan played in Little League, loved Marvel Comics and movies. He was a hugger whom she called “Logie Bear.” Palmer recalled that her son boarded the McCain on May 26, 2017. “I kept him alive for 23 years. 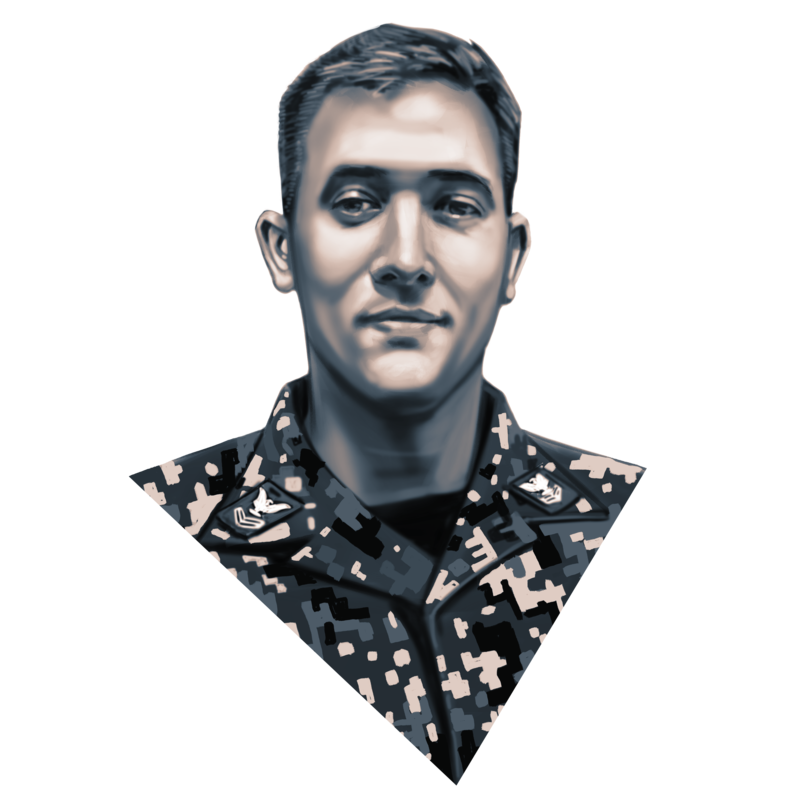 You took him from me in three months,” she told a courtroom packed with Navy commanders.